Needless to say, living up to the “standard” of being the architectural sheet metal industry’s primary standards organization is a challenge. SMACNA relies heavily on input from its member contractors in writing the standards. These contractors, along with their SMWIA employees, make up the Architectural Metal Expertise team that provides the design/build solutions you need to make your design concept a reality. Does your architectural sheet metal contractor’s membership in SMACNA “mean something” to you? Absolutely! When a contractor joins SMACNA, he is “signing on” to the Association’s decades-long history of writing and updating standards, improving them, and making them available to the industry. SMACNA contractors write the Architectural Sheet Metal Manual, which has long been accepted as the industry standard for architectural sheet metal work. Some of these member firms have been involved in the writing of all six editions of the manual. 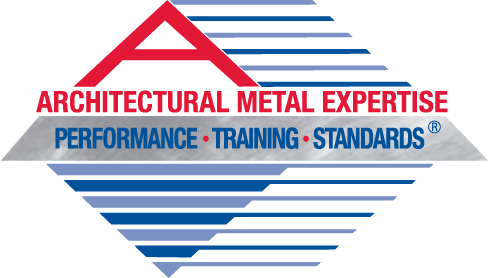 Through the 75-year SMWIA-SMACNA partnership, your architectural metal contractor also displays his commitment to quality. SMWIA members are the products of apprenticeships that extend at least four years. They learn the trade on the job and in classrooms. They, too, have made a commitment to following the architectural sheet metal standards that will produce a net benefit to the architects, engineers, and building owners who use the SMACNA-SMWIA team and their combined Architectural Metal Expertise. 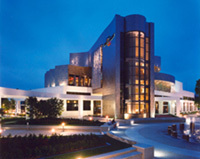 Architectural sheet metal elements can make otherwise ordinary buildings distinguished. Metal roofs, column covers, domes, and spires create character and can make a dramatic architectural statement. Architects and designers can use unique metals, contrasting roof seam types, shaped metal cornices, curved finials, and other attributes provided only by custom sheet metal to best convey the expressed desires of the most forward-thinking owners and architects. SMACNA’s Standard Practice in Sheet Metal Work is a 768 page, hardbound publication that contains a collection of design data that was originally published in 1929. With today’s emphasis on restoration, refurbishing, rebuilding, and retrofitting, architects will find this publication more than of just historical interest. Architectural sections include elaborate cornices, skylights, domes, spires, spun balusters, gargoyles, marquise, storefronts, and metal buildings.